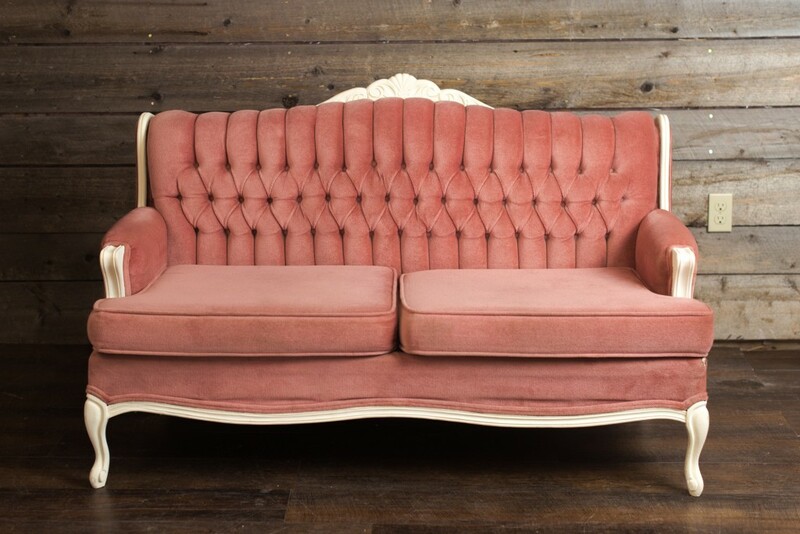 Pretty faded pink settee. Pink velvet fabric with white wooden trim. Fresh and sweet!